Quali sono i potenziali rischi dei media per bambini e giovani? The “Virtual Stages Against Violence” study aimed at identifying all potential risks related to children and young people generated by media in four European countries, in compliance with the EU Commission’s objective to protect children against all forms of violence, while at the same time promoting a safe use of the Internet. Raise awareness amongst children, young people and parents on the negative aspects of the media. The study was based on the idea that new technologies, nowadays the main carriers of information, are increasingly accessible to children and young people, but can often be seen or represent a source of risks (risk of encountering people with false identities, violent representations of reality, etc. ), if they are not used properly. The study pointed out the need to avoid creating a negative impression of new technologies, and to show, instead, their positive potential. The latter goal can be reached by spreading the correct use of technologies, and the VSAV study has tried to do this this through its tools and products. The first step of the study was to develop and carry out a survey to identify the Internet uses and behaviors – both in terms of opportunities and risks – of a non representative sample of European adolescents. The survey was carried out across the four partner countries and included three different samples: 377 adolescents (14-16 years old), 528 parents and 179 teachers. The VSAV survey showed that 87,3% of the adolescents’ sampled used Internet on a daily basis. As to Internet risks, the survey found out that cyberbullying is not very much experienced by the young respondents. As for sending/receiving sexual messages, about half of the Austrian sample has been involved in this kind of activity, this percentage decreases to 35,6% for the Italians and 71,0% for the Romanians. Meeting and having contact with strangers are generally more frequent in all four partner countries. Visiting “unsafe websites” is definitely a quite rare activity for the Austrians (all percentages range from 5% to 12%), while in other countries it is a bit more frequent, albeit with percentages that always go from 20,2% to 31,6,%. Complete results of the initial survey can be found here: http://virtualstages.eu/media/survey_executive_summary.pdf. 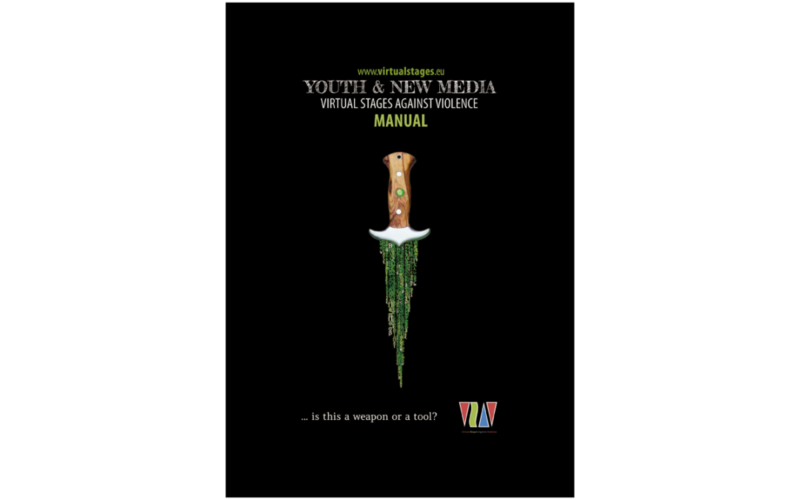 The VSAV study then envisaged ways and tools to raise awareness amongst teenagers, teachers and parents about the risks of Internet and new technologies. This was done through the creation of a Toolkit for teachers and educators, the development of an online game for teenagers and the staging of theatre plays. The main outcomes of the study were an increase in the setting up of media education networks in the different partner countries, more and more classrooms in schools equipped with technology such as projectors, laptops, tablet PCs, Internet etc. and a greater awareness amongst children and young people on the measures to avoid the risks related to internet and media use. This toolkit, realized within the project VSAV, represents how CESIE and the Partner organizations operate, locally and internationally, to promote cultural and educational development through the use of “non-formal “education tools. The toolkit offers innovative and participatory methods to support, integrate and enrich the work carried out by educational institutions such as schools. The project is based on the idea that new technologies are increasingly accessible to children and young people, but can often be understood as a source of risk, if they are not use properly. This DVD brings together the several theater plays that have been carried out during the project, such as Users (in Italy), Hypertroja Wonderland (in Austria), Decoded (in Romania), Channel Troy (in Germany) and Troy (also in Germany). The main objective of the survey was to identify the Internet uses and behaviors – both in terms of opportunities and risks – of a non-representative sample of European adolescents. As an important sub-objective, we also wanted to take into consideration the role parents play within the family in supervising/controlling the online activities of their children. Virtual Stages Against Violence is a project funded by the European Commission through the Daphne III Programme. The project is based on the idea that new technologies are increasingly accessible to children and young people, but can often be understood as a source of risk, if they are not use properly. The manual brings together the several activities that have been carried out during the project and the tools implemented to be a useful and positive support in the life and growth of children, and in everyday life.